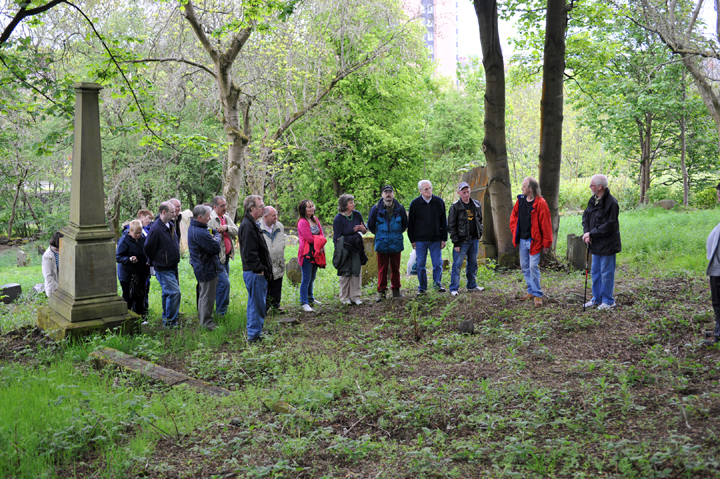 Come join us on an exclusive guided walking tour of Robert Tannahill's world, as we trace the poet's life and steps through the town of Paisley. You will be expertly guided by the president of the Robert Tannahill Federation himself, Davey Mullen. 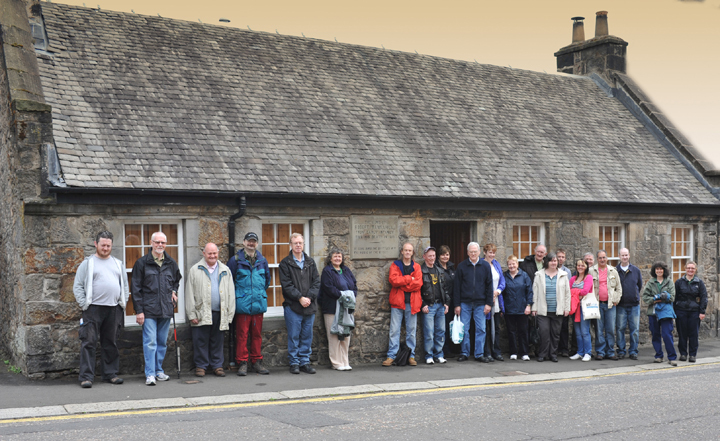 Highlighted in the two hour walk, will be various landmarks of Robert Tannahill's past, including his birthplace. An informative pamphlet is included, and 30 days prior notice requested. 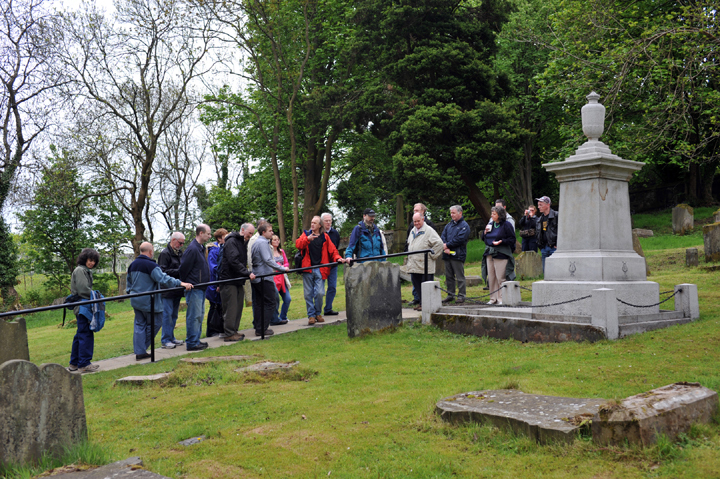 Extended tours are also available by private arrangement, and will involve visiting areas surrounding Paisley featured in many of Robert Tannahill's songs and poems. © All Rights Reserved © materials should NOT be used without written permission, to be retained by user. 11 Queen Street, Paisley, built in 1775. The place where Tannahill lived from early infancy. Erected in 1866 beside his grave at Castlehead Church, Canal Street, Paisley. Jenny Tennant "Jessie, the flower of Dunblane". Her grave at Castlehead Church, Canal Street, Paisley.